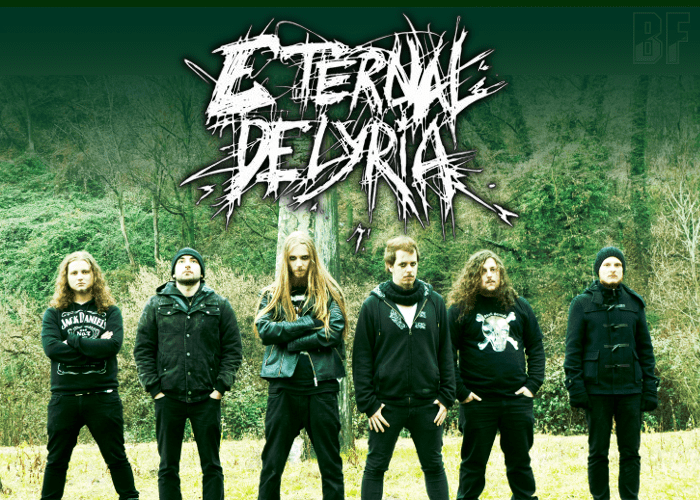 ETERNAL DELYRIA is a young melodic death metal band from Ticino (Switzerland), founded by Alex (Drum), Fot (Guitar) and Raven (Vocal) in May of 2011. In 2014 they released the six track EP “Delirium” with the old line-up. After the new line-up was completed, the band released the first full length album “Letting Go Of Humanity” containing ten tracks in June 2016. The album was recorded by Nicola Leoni at Studio From Hell, mixed by Stefano Scenini at Stairway Studio, mastered by Alan Douches at West West Side Studio, and the cover artwork & layout by Gioele Fumagalli. Although each member speaks German, English, Italian and French, English is used in their songs. Fans of Melodic Death Metal should check out this band.